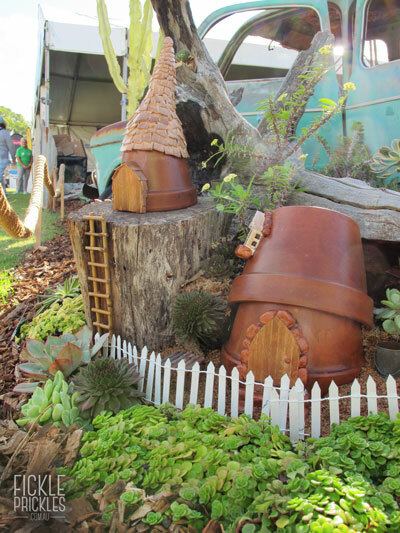 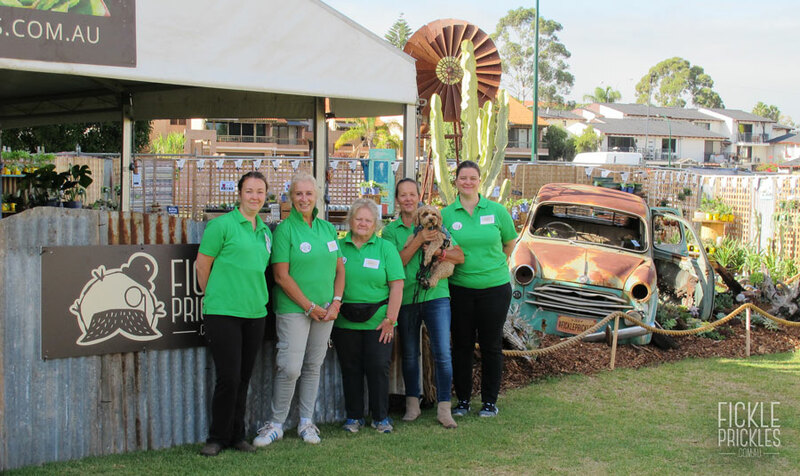 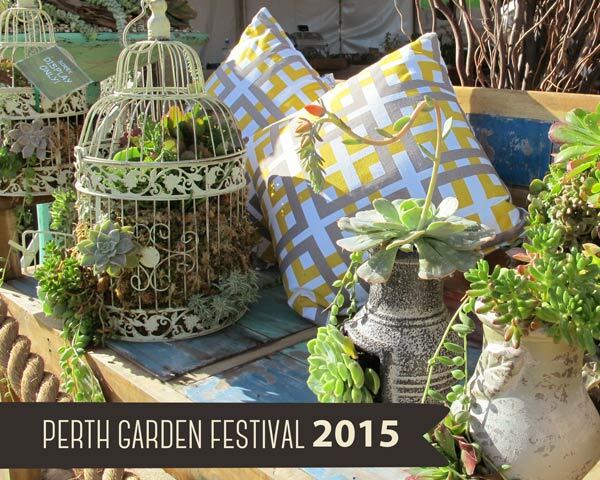 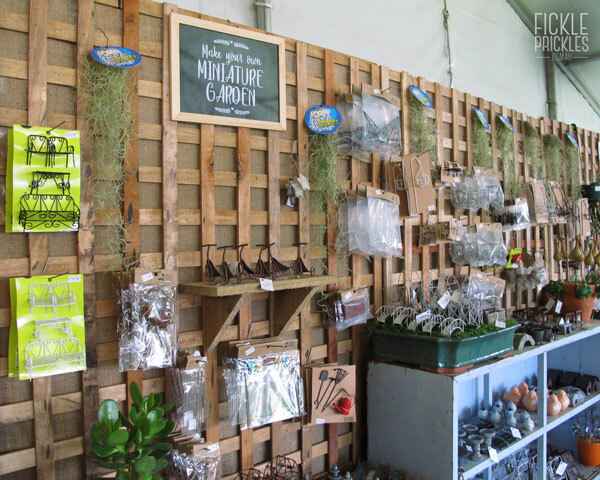 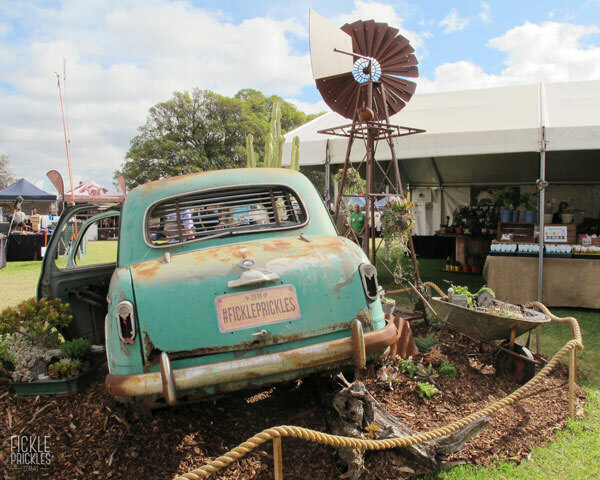 In April this year we attended the Perth Garden Festival at McCallum Park. 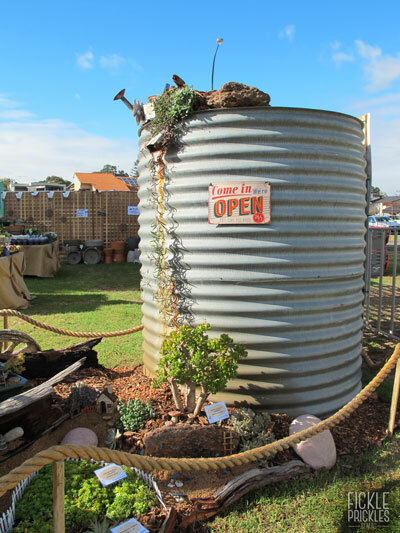 This year we had twice the stall size, which meant pulling out the big guns to make a stunning display. 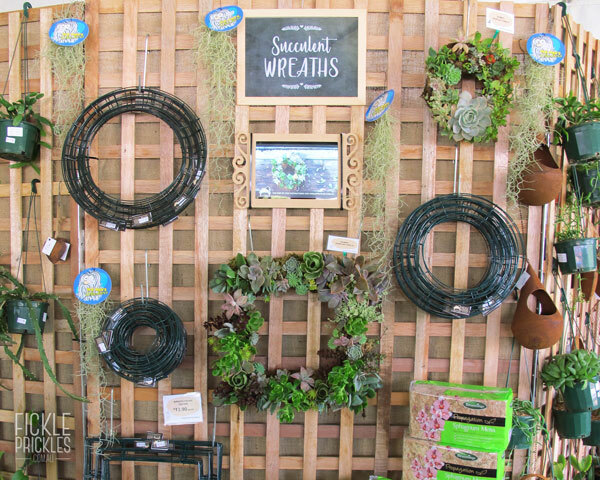 Setup took a solid 7 seven days, with the help of our family and friends. 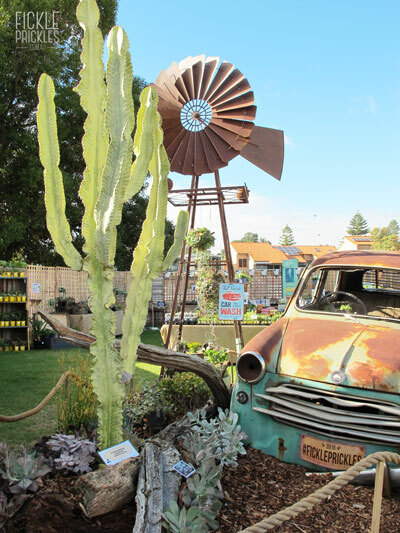 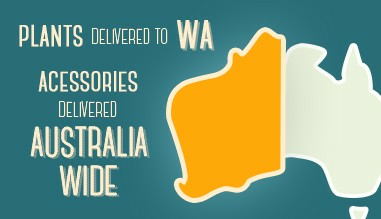 This year, we wanted to go for an 'Australiana' theme for our display. 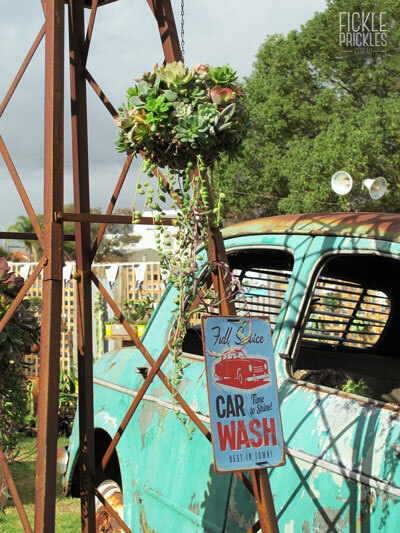 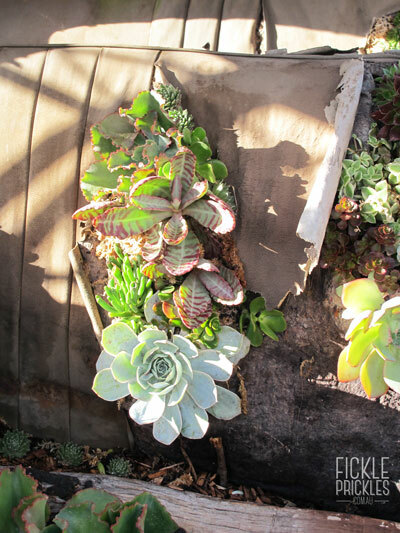 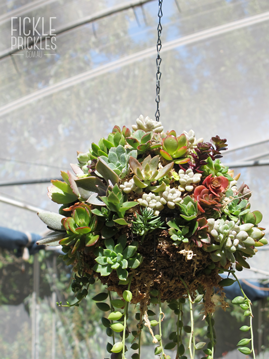 We wanted to incorporate rusty brown props in with the pinks and greens of the succulents. 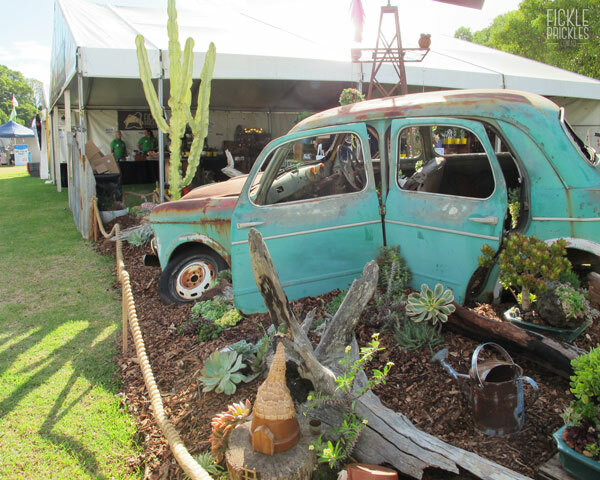 We had been looking for the perfect car for quite some time, then we found this rusted out 1950's Fiat. 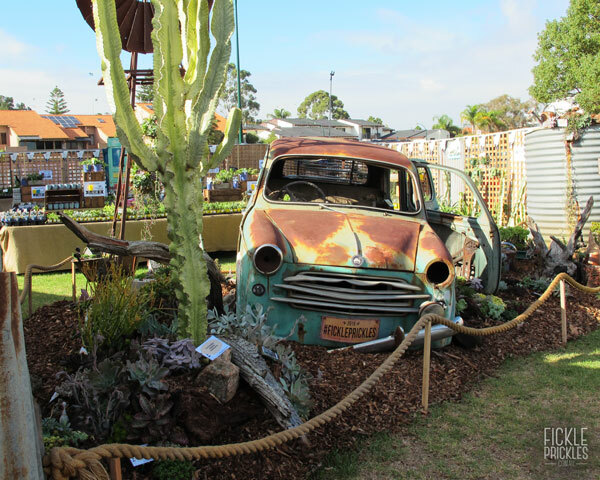 It was a lot of fun putting this bad boy into place with a forklift! 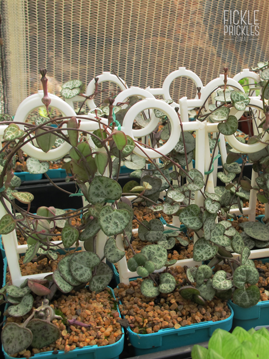 The large Euphorbia next to the windmill is an Euphorbia ammak variegata. 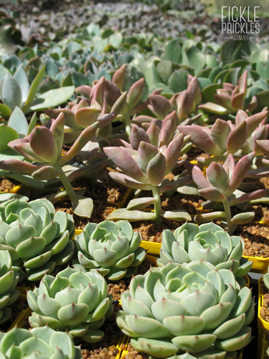 We also used various cabbage Echevrias like Echeveria 'Blue Curls' and Echeveria capri. 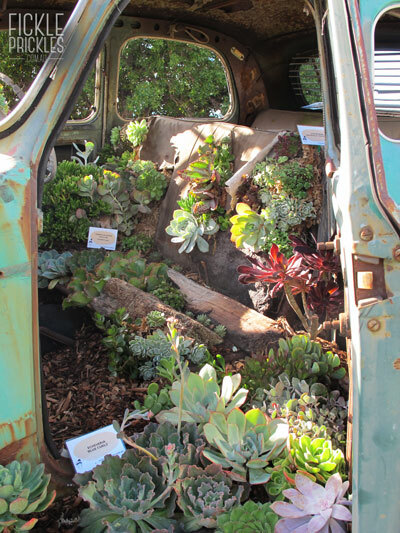 Planted into the seat is an Echeveria domingo and the bright red foliage of the Kalanchoe humilis. 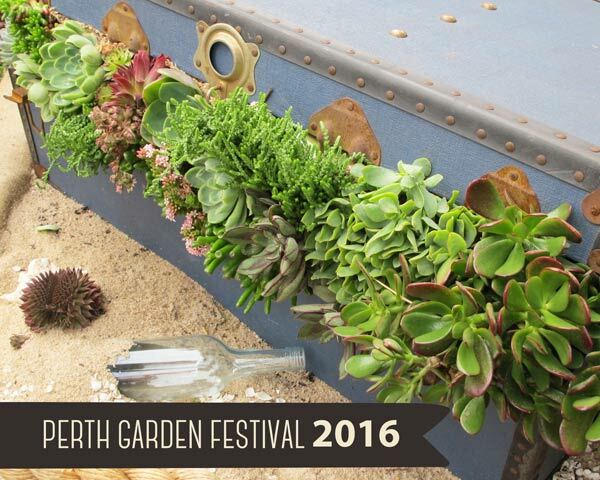 In a wheelbarrow we created a miniature veggie patch garden, with Crassula marginalis var. 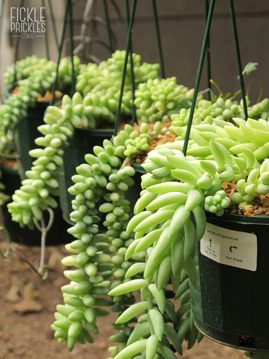 minuta variegata, Sedum makinoi 'Tundra Tornado' and Crassula cv. 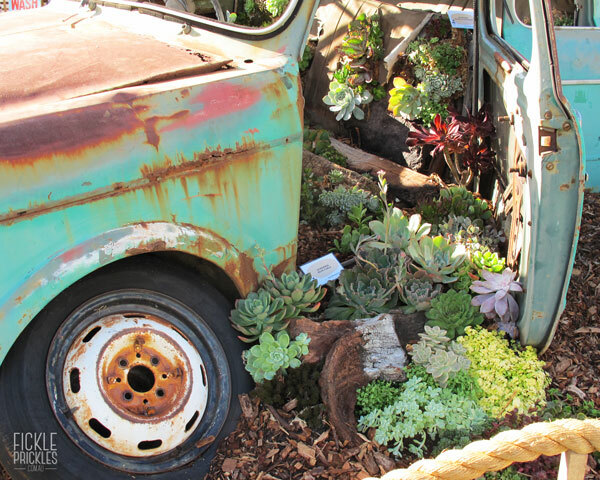 'David' planted in front of the fenceline. 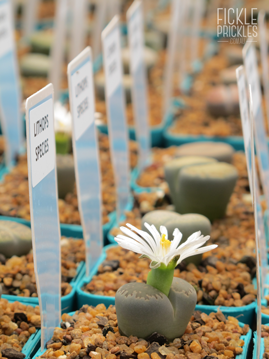 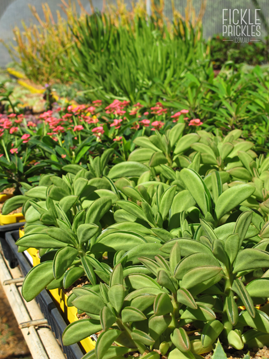 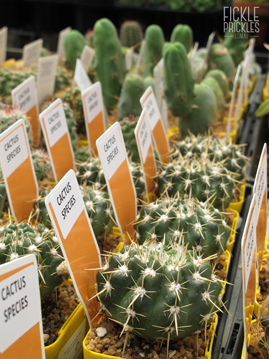 Some of the collectables that were on offer were Raindrops, Ben Badis, Sticks on Fire, Peperomia, Chain of hearts (normal and variegated), Chain of Pearls (normal and variegated) and monstrose Euphorbias. 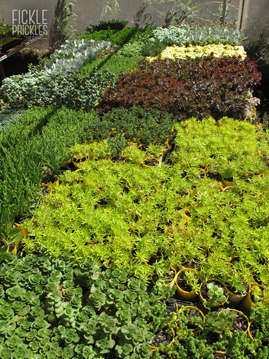 Plus MORE!!! 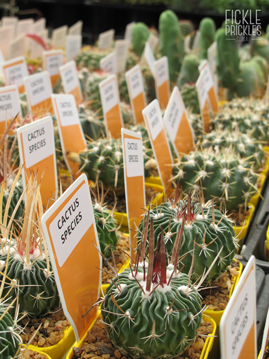 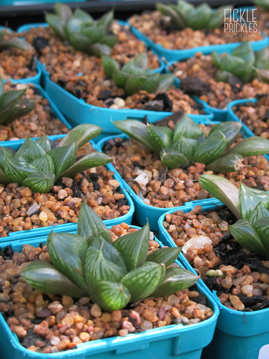 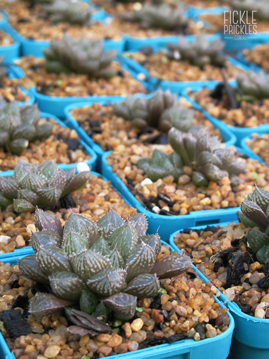 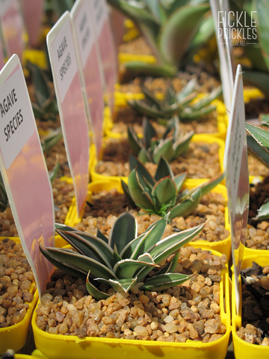 Named varieties of Agave, Haworthia, cacti and lithops. 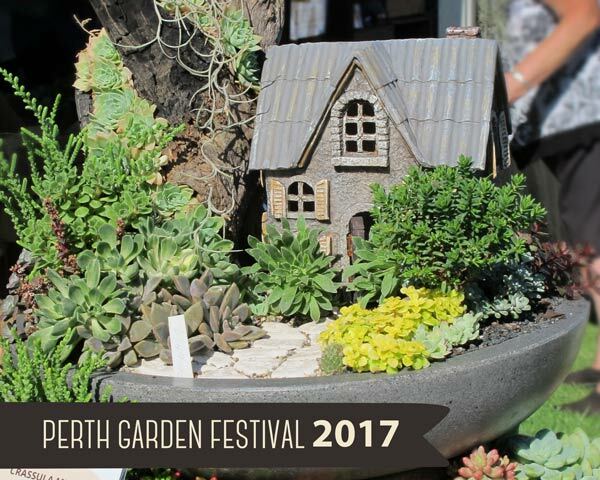 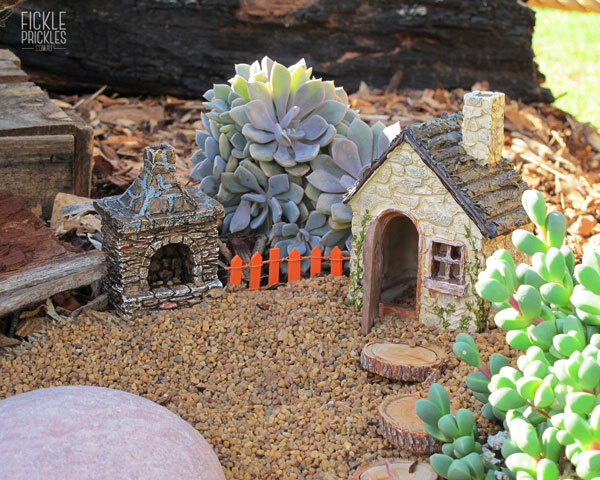 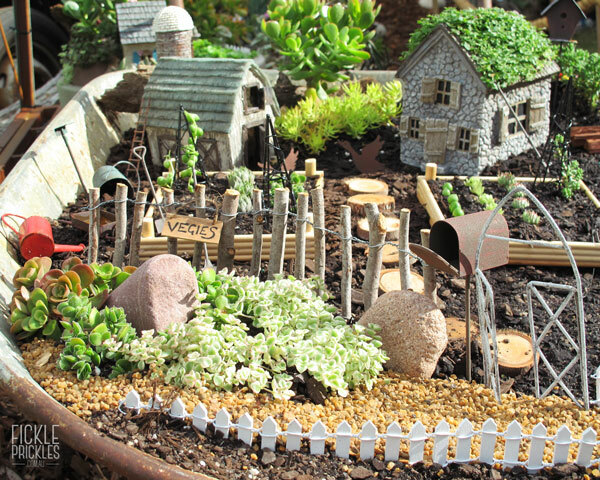 Here are some of the miniature gardens we had made up for this year's festival. 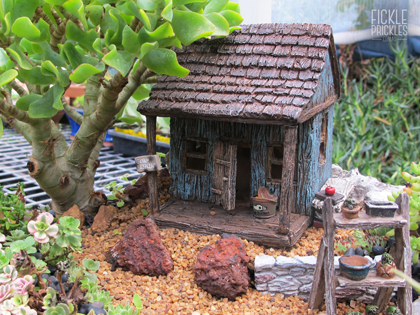 Hopefully they are a good indication of what species of succulents look great as trees and shrubs, hedges and lawns on a miniature scale. 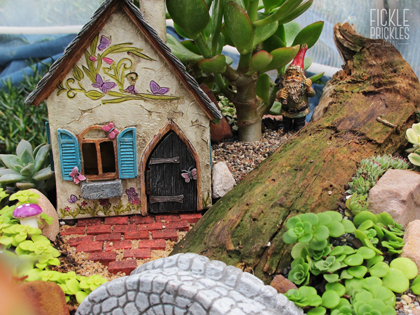 There was a whole new range of funky mini houses for sale at the festival, as well as miniature furniture items, pots and of course, SUCCULENTS!